The Cape Surf Hostel are situated approximately 100m away from the Bloubergstrand beach and lie centrally between the some of the most popular Kitesurf,surf and windsurf spots of Table Bay (Cape Town). 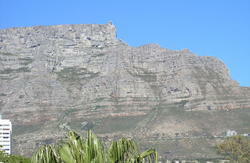 Bloubergstrand guarantees you a spectacular panoramic view of Table Mountain and the 'Citybowl' nestled below it. The consistent wind and surf contribute to making the Blouberg area a world class location to surf, windsurf and kitesurf!!! 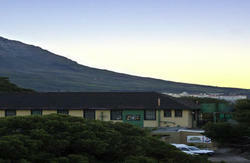 The Hostel consists of three separate houses built on over 2000m2 of property. The spacious guest rooms are all within the three large houses where the is a maximum of 8 people per house. Each house has a fully equipped kitchen and a comfortable living and dinning room. Our summer is predominantly enjoyed outside and thus our pools, braai (barbeque) and chill-out areas are well situated between the houses. 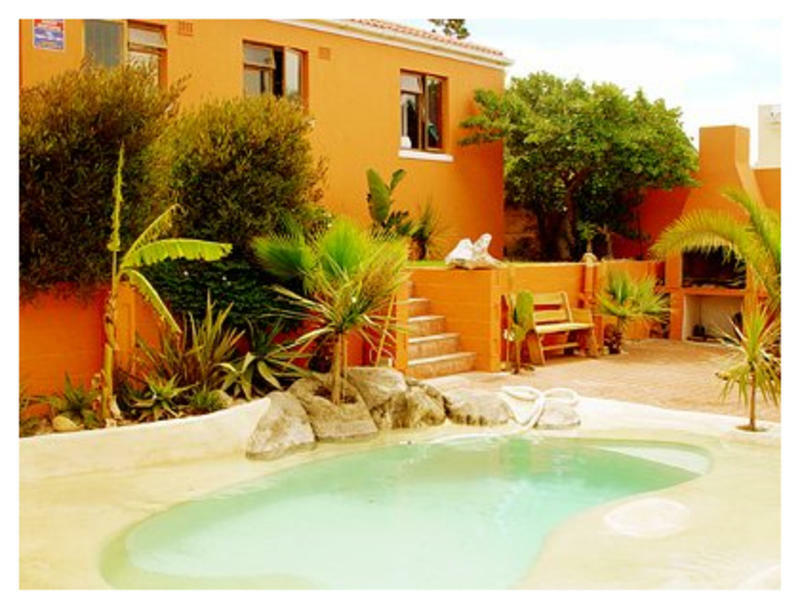 We the owners reside in the Cape Surf Hostel together with you! We have the necessary facilities available should your require to send and receive emails, faxes or make phone calls. If you require airport transfers or car hire, we will be happy to provide you with assistance. When planning trips and excursions around the Western Cape or further afield, we would gladly give you hints, tips and help arrange them if necessary. Getting the latest updates on weather, wind, wave and surf conditions every morning goes without saying! Go straight onto the 'N2' direction Cape Town! Then go onto the 'M5 North' direction Milnerton! Take exit Milnerton. DON'T turn right to Paarl but follow the road to the big set of traffic lights and continue going straight. This leads you right onto 'Koeberg Road' now. Go straight (roughly 10km) until you see the Caltex refinery on your right-hand side. At Caltex turn left into 'Blouberg Road' direction Bloubergstrand. Go straight until you reach the circle, turn right and follow the road near the shore. Third road left (Dolphin Drive) then you´ll find the Cape Surf Hostel on your left-hand side!! !